I have demonstrated, in theory and in practice, that it is possible to become financially independent in about half a decade if one so chooses. All it requires is a 75% savings rate and a median income job. Now, for some reasons, which I can not really figure out, this idea is occasionally challenged by people who argue their case using what appears to be Kant’s categorical imperative. The categorical imperative is essentially a test of what would happen if everybody did it. For example: Suppose I’d like to go around shooting people, the test is then is if I can accept this behavior to a universal status, that is, would I be okay with everybody else going around shooting people (including me) as well. If not, the universal principle says I can’t go around shooting people. Similarly, the idea of early retirement is refuted because it is argued that society would break down if everybody retired early. Interestingly, a similar argument is not presented when it comes to the decision of whether it would be okay if everybody decided to become hair dressers. The strong form: What if everybody did it. The weak form: What if everybody was allowed to do it. The weak form solves the problem, because it is demonstrably true. We already have a society which allows financial independence and early retirement. See paragraph 1. The way capitalism is set up also elegantly solves the problem. Clearly the transition must be continuous as financial independence necessitates the accumulation of resources. What, then, would happen if everybody started accumulating resources and saving instead of consuming. First of all, I believe the world would be a better place. There would be far less waste. People would start thinking about the future instead of the present. It would end up with a more ecologically sound form of capitalism. Second, though, the interest rate would drop as demand for present resources would fall. This would require the accumulation of even more assets to become financial independence. At some point, people would say screw it, I’m just going to work for money instead. It’s much easier than to accumulate a gazillion bucks just so I can live off the trickle. Of course we already have such a situation today. Only a few people are willing to save and invest the necessary resources. The rest prefer to live in the moment. Therefore the world looks as it does now. And interesting question would be to imagine a similar discussion in a future oriented society (with low interest rates and high savings) about what would happen is everybody just started spending their money: Oh no, it would never work. Where are we going to find jobs for all these people? What would they make? Where would the demand be? Does that mean we’d have to just pour our earnings down the toilet or should we tear our homes down just so we can work harder to build bigger ones or throw our stuff out so we can buy new stuff? Clearly, that can never work. What about the resulting pollution? What about the finite resources? How are the next generations going to live when we used them all up? 30 users responded in " Kantian morals and early retirement "
While I like your idea of dividing the principal of universality into a ‘weak’ and ‘strong’ form–I think that a society in which people worked fewer years (instead of never working!) sound feasible. People often argue, “What if there were no doctors, nurses, fire fighters, teachers, police officers?” Perhaps universal ER or FI would create more demand for people to work in useful roles during their (shorter) employment–since we’d still need some of these services and since there would be less money chasing the “stuff” out there (new sofas, bigger houses, jet skis). As for a future-minded society with a higher savings rate–that’s exactly what some French economists are worried people will do with all the talk of cutting back the deficits. People know they’ll face more taxes and possibly more inflation and are already starting to save. . .so we’ll see how that goes. I think that it could be complicated for a government that is trying to earn more taxes to pay off an existing debt–but that doesn’t mean that it’s not a possible way for an economy to be structured. Usually, the ones who argue for “What if everyone decides to do it” doomsday will vehemently defend the highly wasteful, environmentally degrading lifestyle as well. So there is a consistency pattern here. If one were to look with detached clarity (objectivity), things cannot be so pathetic even if everyone decides to retire early. Society will evolve a different model to cater to that phenomenon…. just like the current version of society evolved to fulfill the wants of its denizens. I for one firmly believe that the world can be an infinitely better place with less hamster-on-wheels and more stop-to-smell-the-roses… and if society metamorphs to accommodate this change, then I say “Bully for you”, society and welcome the change! P.S: I know this is quite a controversial topic (recently there was some stone age vs. extinction argument in the comments) but these are misplaced arguments… Life will certainly go on (and often for better). Fear of the unknown shouldn’t b(l)ind us to the prevailing status quo (and its obvious failings). Love the last paragraph. I wouldn’t have thought to include that in the argument, but I guess that’s why I’m not writing an ERE blog and book. … even though they’re spending most of that moment working, shopping or taking care of their stuff! I agree with Surio that society would adapt rather than collapse if people started to prefer more free time over fancy toys, luxury vacations, etc. For an interesting fictional take on what a society like that would look like, I strongly recommend Island by Aldous Huxley. The “what if everyone stopped working” argument is a red herring anyway. The more appropriate phrasing is “what if everyone started valuing financial freedom a lot higher than frivolous consumerism?” Presumably most people today would be happy to be able to stop working, but first they’d want enough money to keep paying for SUV’s, nights out at the bar, exotic vacations, and new wardrobes every season. It’s hard to see how society would collapse from people deciding to lower the bar of things they’re willing to do without (especially considering that a lot of this stuff didn’t even exist in the lives of those now living anyway). How did everyone get on the consumption train wreck in the first place ? Is it so strange to stop to think and get off ? I am not a big fan of Kant. Well you see everyone HAS to do it. This is a synthesis of mind in society. I mean if your totally hated brother-in-law, who married your sister got a 2010 Chev Tahoe ($54K) with all the bells and whistles and the pearly white color that is so popular, and hauls his woman and his kids up to your house to show it off, I mean, damn, how could you stand that??? You would be an underling, a woose, a failure!! And you think that guy is a bum anyway. Let him get ahead of YOU???? Not in this lifetime!! SO you go and get the Caddy Escalade ($68K) to shove that up his rear-o-shpere to the nines! This is an example, this is why most people have to do it. This is why the treadmill will keep spinning until the bearings wear out. Actually many people welcomed the recession with open arms. It sort of ok’d the downsizer to do that, to cut back, to scale down. It was like an approval. It made it ok because EVERYBODY else was affected by it as well. However, without an economic fall out, there is no excuse is there? If everyone is working as hard and long as possible, then buy that stuff as fast as you can, and stay on top and ahead is the thought. Outdo that worthless brother in law or neighbor. Your doing better than them, so SHOW THEM. Then the have the sensible folks, you know, the ones who read this blog. Dave Ramsey runs into this query all the time. I think his response is that 1. it would never happen, and 2. if it did, then things would get bad and then they would get better. 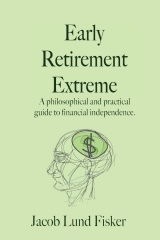 In the case of early retirement, if everyone did it it would probably cease to be feasible. My assumption might be wrong and I would really like to see an economist or finance guy run some numbers on this. Assume something along the lines of graduate college, work for 10 years, retire. In order to fund your retirement, everyone else needs to be buying stuff. If people stop buying, then stock prices drop and dividends dry up simply because companies stop making money. If those drop then retirement gets harder to fund, kind of necessitating a return to work (at least part time). Furthermore I’m unconvinced that life would be better because we “have less waste.” Sure mindless consumerism is bad and so is the associated waste. But along with that waste we get lots of good things. Someone has to work in services that allow us to live such as police, firemen, health care workers, and people maintaining our electric grid and water treatment plans. Someone also has to be employed in those areas that drive society forward. Someone has to develop newer better products. For example, should we be content with computers that run at X Ghz and use Y units of power or should we be pushing for computers that run at 2X Ghz and use 0.5Y units of power. Both the environment and the people benefit from advancements. In the case of financial independence I think things get more interesting. If people achieved FI 10 years post college and were then free to do whatever they wanted, it could be a very interesting world. Would employers strive to make workplaces better in order to keep more people around? Would alternate work styles such as results only or telecommuting come into vogue? Would society be more creative as people have more time to devote to such things? Or would circumstances conspire in such a way to keep everything pretty much the same as it is now? People use the same argument on me when I say I don’t want to have kids. They say people would disappear from the earth. Under-population does not appear to be a problem, so I’m sticking with my plan for now. A fascinating premise and one I have thought about when trying to describe to people why we do what we are doing (cutting back expenses so we can work less and have more time to ourselves). And the conclusion I have come to is that I don’t want everyone to understand and do the same, or else the current balance of society won’t remain. I agree that the ‘weak form’ of the question applies. Clearly everyone is ‘allowed’ to do it (except maybe by their upbringing/mental attitude), and that is fine. However, not everyone *wants* to do it, either. FI would allow people to not only ‘retire’ but also to choose ‘work’ that they love. For a lot of people, FI means they can stop ‘working’ and spend time on some other activity instead – and because THIS would be the activity they love, there’s a greater chance they may actually contribute something positive to the ‘common good’ than they would do in the old ‘work’ they’ve given up. Jacob, I’d argue you are now more productive in the wider sense than when you were a physics hotshot. In physics, about six people worldwide valued your output, I believe – now you have a loyal band of readers, you are giving back through your non-profit organisation, you keep bikes on the road and have (I guess) more time to devote to DW, and you have developed a range of uncommon skills as well. What’s the downside if more people do that??? vga’s post reminded me that Jacob is FI and is still working. FI does not mean no one would produce or consume, only that it would not be financed by (consumer) debt and that workers could walk away from bad jobs. This would return us, more or less, to the era before credit cards and car loans, minus the “company town” issues. Both investors and workers are needed and the free market solves the issue very well by providing different incentives to different people. Some have an incentive to work and consume while others have an incentive to save and invest. Only by government intervention would there ever emerge such a situation of everybody wanting to retire early – which is more or less what happened in Greece. It’s funny, but the more I read through your blog and see your goals about acquiring financial independence in such a short time, the more I believe it. Not that I was disbelieving before I stumbled across here! my biggest challenges is acquiring that elusive ‘middle class’ income. My achilles’ heel is a severe lack of employment history and educational credentials. I’ve completely neglected my professional and academic education in favour of financial education. To me, as a number of others pointed out, the assumption that everybody will do the same thing is unrealistic and implies that you are living in a highly controlled society. So its kind of a red herring and certainly not, to me, a good reason to adopt or reject a particular lifestyle. For some interesting and EASY reading on philosophy and philosophers, check out “Examined Lives” by James Miller, which describes philosophies of Socrates to Nietsche and their lives, and looks at how well or poorly they could live up to their own teachings. Kant was kind of this brainy, OCD dude who partied early in life, never married, and eventually settled on a routine where he followed almost the exact same schedule every day. He believed his predictable habits were a cure for his imaginary ailments (he was also a hypochondriac). His lectures later in life were so obtuse that sometimes he confessed he did not understand them himself. We certainly would not want a world where everyone lived and acted like Kant! The most frequent challenge, though, is what I have come to call “The-Perfect-is-the-Enemy-of-the-Good” argument. It’s very similar to the “What-if-Everyone-Quit-Working?” challenge. The argument is that “I can’t retire tomorrow at my current lifestyle (the ‘perfect’ result to them) so I’m not even going to make a change to improve my situation (the ‘good’ solution to me). After years of hearing this argument against simple living and early retirement (also weight loss, smoking and a host of other issues), I finally realized that the people making it are really saying that they simply do not WANT to change. These people see almost ANY change as difficult and they are not interested in anything that sounds like hard work. In other words, arguments such as these are just rationalizations for people to avoid work. They make the argument as a way to resolve the dissonance they feel when they see me “retired” while they slave away at some traditional job they hate. Once I realized this, I stopped trying to respond to these arguments. It is a total waste of time. Now, I just agree with them. I’ve noticed that ends the discussion immediately and they seem much happier with me than they are if I try to explain my lifestyle and how it applies to them. FWIW, I find it helpful to understand in advance that these types of arguments are not what they appear to be and are simply not worthy of a response. People will only change if they WANT to change and these comments indicate the person is not ready to make a change in this area of their lives. Hey Jacob, just stumbled across your site from GRS. Love this post. I was a philosophy major in college, but it’s been awhile since I’ve read Kant. If memory serves me though, your weak form (everybody is allowed to do it) is the categorical imperative. I don’t really recall Kant ever mentioning a situation where everyone actually does the action in question. It’s more about whether or not you would want to live in a society where everyone is ALLOWED to do it. Also, I think there’s a fundamental flaw in the argument of applying the categorical imperative to a question like retirement. The test was designed (again… relying on memory here…) to test the morality of something, not the feasibility of something. For example, say that I pledged to give away 100% of what I earned in my life. Every dollar. To apply the CI to this, it seems fine to allow this behavior in everyone. So it’s a moral action. But that doesn’t make it a feasible action because,hey… a guys gotta eat. So the real flaw when people make this argument is they are applying a rule to test morality to a question that requires a feasibility test. I really like the notion of “weak” and “strong” versions of a principle / theory / hypothesis / etc. I think the first time I was exposed to it was when I heard about the Sapir–Whorf hypothesis. I don’t think having lower – or even zero – interest necessarily means everyone would give up on saving and go back to working for a living. As a very clever person once pointed out, (as long as your interest rate = inflation), if you only spend a quarter of your income, then for every year you work, you can take 3 years off. So if someone begins working at age 20, and works until 40, they could then retire and keep the same standard of living to age 100. Look up the BBC documentary “The Century of Self”. Its free on Google Video. Are investors really needed? An investor makes money by allowing others to live beyond their means. Don’t get me wrong, I am happy to be benefiting off of this system myself, but I don’t tell myself I am doing society a favor. When I was in Mexico, I noticed a lot of houses in small villages had rebar sticking up out of their roofs. Someone explained to me that most people couldn’t get home loans, so people would build what they could afford. The rebar was sticking up so that in the future, when they had enough money, they could build a second story. Having money to borrow certainly allows faster growth, but why is faster the goal? If living within ones means is good for individuals and for governments, maybe its not such a bad idea for business either. If everyone lived within their means, society would have no use for investors. The “what if everybody did it?” question is usually framed as high-minded social concern, which is actually used to mask a visceral and emotional reaction to another person’s individual choices. After all, no one seems to bring out the “what if everybody did it?” question when someone talks about becoming a medical doctor, or moving to France. Why the difference? Because it’s an emotional response, not a rational one. Screw Kant. The guy was a basket case and ethics processed through implausible hypothetical scenarios are pretty pointless. You don’t have to have a Phd in ethics to know stomping kittens is wrong. But if everyone did it the loss of cats wouldn’t really effect much. Consumer culture made me miserable for decades before I got a clue. (Thanks BTW) It endangers this nation and the planet. So my fondest hope is that everyone DOES do it. The benefits grossly exceed the negatives. I am always amazed at the connections your posts make. And am as equally impressed by the insight of the comments. I cannot think of anything to add; but I have taken away a great lesson and a new quote to place on the refrigerator. “The perfect is the enemy of the good”. I can’t stand the rise of devil’s advocates on PF finance sites who argue simply to be contrary. It’s disingenuous, childish behaviour. “Well, it depends on your *definition* of retirement,” “what if everyone was to do it”, “what if money began to grow on trees..” These are the illogical who will likely never do very with money because though the grasp and fully understand an idea, they want to thumb their noses, poke bears, and pee in the coffee. Here’s a tip for ’em: When you understand what someone is saying and it makes perfect sense to you, don’t be a jerk about it for no reason. …Just don’t.